For its album Dig Out Your Soul, which debuts October 7, Oasis gathered 15 street bands and taught them the lyrics and sheet music for four of its new songs. Lat week, the bands were then deployed all over the city -- mostly to subways -- to perform the music with their own flavor. Each performance featured a little sign that said, "You are the first to hear this new Oasis song" -- bringing a little bit of magic to busy commuters, and some eclectic street charm to Oasis's new oeuvre. Nice to see the high-profile artists disseminate their music with such an open-arms, interpretive approach. Feels so human. And dare I say it? -- social. Watch video here. See more at Creativity. Execution by BBH/NY. The Malloys of HSI helped direct. 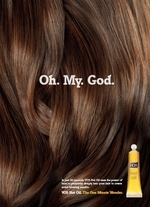 Not quite as blunt as the long-running Herbal Essence campaign which has no problem trying to make us believe its hair care products will give women thunderous orgasms, this new Euro RSCG London-created campiagn for VO5 Hot Oil more subtly eludes the the notion, somehow, hair care products do, in fact, give women orgasms. The print campaign, with headlines like, "It took my by surprise in the shower," The best 60 seconds in my life, "I glowed afterwards, " It hasn't felt this good in ages" and "Oh. My. God," aims to "reinvent the cult status of VO5 Hot Oil as a miracle product in a manner similar to that women's exercise product on Mad Men which, yes, gave women orgasms. Just what is it with man's obsession with the female breast? OK, that's a stupid question with no logical answer and attempting to assign some sort of intelligent explanation would be a pointless endeavor and an embarrassment to man(and I do mean man in this case)kind. So let's not and just enjoy these two new Partners Film-produced breast obsession-related commercials from Toronto's John St. for Rethink Breast Cancer's Fashion Targets Breast Cancer campaign. I have never seen an ad campaign targeted to lesbian, gay, bisexual or transsexual (LGBT) senior citizens. It's a miserably underserved demographic. 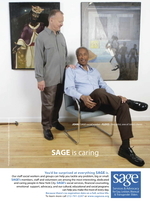 Under the slogan "Because there is no expiration date on a full, active life," Services and Advocacy for GLBT Elders (SAGE) ferreted them out for an ad campaign. Warm, approachable images of them -- as actors! families! Dianic priestesses! magicians! -- will be used on subway metro cards, in print ads, in phone kiosks, and on bus shelters. "The LGBT community - like the general population - has a growing segment of aging adults, and this campaign gives voice to the seniors who have a full life [...] enhanced by being a SAGE member," said SAGE executive director Michael Adams. Loves it. Brings a spark of life -- and yes, a broad spectrum of color -- to the typically dire topic of aging. See more here. Ads by Double Platinum/NY. 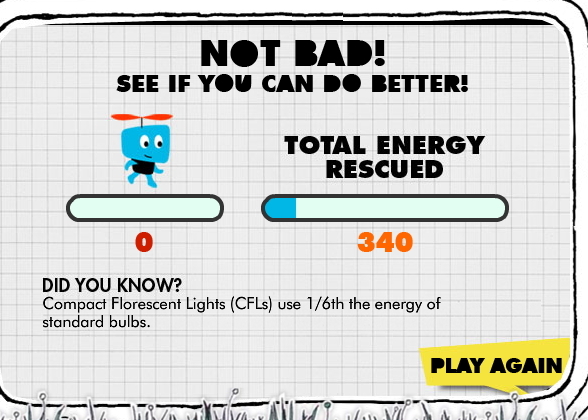 The Ad Council and the US Department of Energy are using a new ad effort to build a new "energy ethic" for tweens. The campaign's called "What's your excuse?" and was created by Goodby, Silverstein & Partners. LoseYourExcuse.gov is stocked with tips for saving energy, desktop background downloads and the like. I really love the game, though. Been playing it all afternoon. "A lot of girls out there love healthy food. If you want to get into bed with one, check out our debut episode!" That's the premise for the mDialog-produced show Cooking to Get Lucky. Its purpose is to turn men into gourmet cooking machines that create meals guaranteed to get the girl. OK, so there isn't necessarily a guarantee but that's the hook upon which the show hangs. An hour or so ago I read a grisly article about some Russian kids that killed and ate their goth friends. After scrolling down to the end of the piece and feeling appropriately perturbed, I came across the Ask.com video ad at left. "How can you learn to walk in high heels?" it burbles cheerfully. "Get the answer." I played the video out of morbid curiosity and watched a pair of legs walk, with sass, up until the grand finale -- when the owner of those legs topples over with a scream, followed by cries of dismay. It remains unclear whether she was eaten after her plummet from grace. 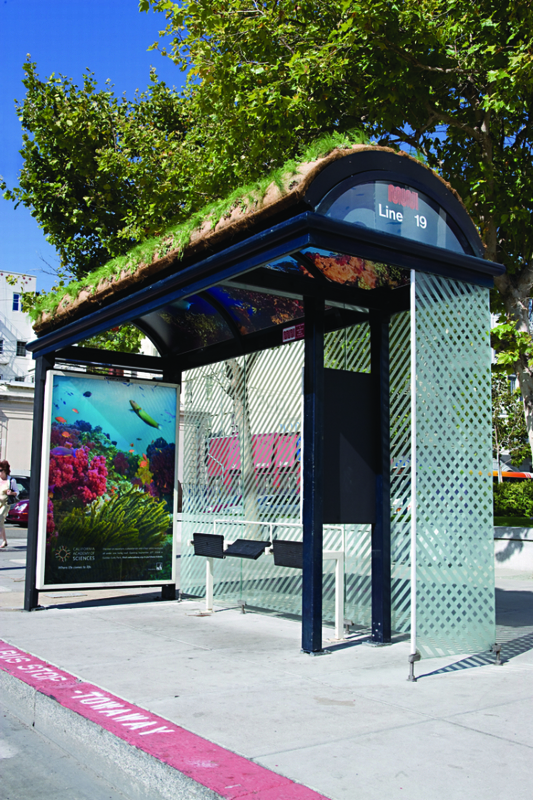 For the California Academy of Sciences, Heat/SF launched a series of outdoor executions that highlight the institution's eco-friendly design and emphasis on sustainability. 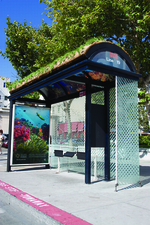 To tie in to the "green" roof over the Academy's new facility -- which actually sustains some wild animals and vegetation -- outdoor ads include a "living" bus shelter and billboard, upon which grass or other greens have been planted. See them in San Francisco. TV and digital work will also supplement the campaign. McDonald's and Ford have also done the living billboard thing. Tell me, minions: is this America or is this Hobbiton? "Heads," an ad where people around Los Angeles sport art instead of faces, brings Magritte to mind -- in part because the images echo certain work of his, but also because they share a muted texture and feel. 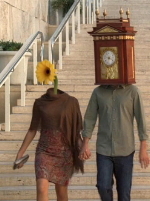 "Heads" is subtle and almost unsettling. The tagline, "Getty. It stays with you," weds imagery to action. By M&C Saatchi for The Getty. All that can be said about breasts, bras and bra advertising has been said. Does anyone really want to read about breasts, bras and bra advertising when they can simply look and enjoy without some ad dude trying to write idiotic double entendres that just fall flat and are indicative of some sort of freakish ailment? Of course not. That's why all you have to do to see the new Wonderbra ad starring Dita Von Teese is click here. Oh, but you should know Dita has a Flickr page and a Wonderbra site.